A wonderful celebration in the holy city of Rome at FSSP in Urbe. My daughter was a St. Bernard, in a costume made by her great-grandmother. Some of the best costumes were the adults - Pier Giorgio Frassati, St. Lawrence, St. Cecilia, etc. Thank you to everyone for the memories! Mark your calendars. We have decided to re-create Dr. Dietrich von Hildebrand's 1957 "ITALY, THE BLESSED LAND OF BEAUTY" studytour of Catholic Culture. Stay tuned for details. The original price tag was $987.00, which in those days included tourist class passage on an ocean liner and first class rail with sleeper. Tips to boat stewards were extra cost. This is a fabulous tour that includes a tremendous breath of art and history. Do not miss out. Details will be forthcoming. In Dr. Dietrich von Hildebrand's own words: "This year our trip to Europe will be concentrated on Italy, with special stress on Sicily. 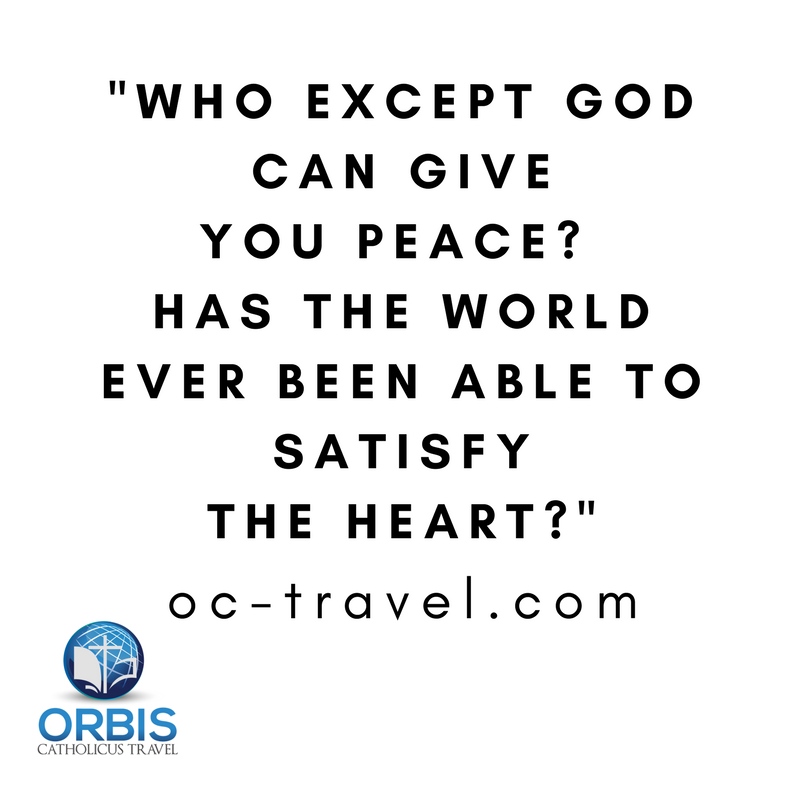 It should give us the opportunity to dwell in this blessed land of transfigured beauty in a more contemplative way. The emphasis will be put NOT on seeing MUCH, but on seeing the most important things in a way that they leave a lasting imprint on our souls. We want to breathe the sublime atmosphere of Italy - this country formed by two thousands years of Catholic culture- drink its unique personality, taste its matchless poetical world which is at the same time endowed with a holy sobriety. Instead of rushing from one sight to the next, we shall live hours of recollection in the unique landscapes of Tuscany, in the streets of Assisi which speak so eloquently of St. Francis; we shall let ourselves be inspired by Rome - the Eternal City, the pulsating heart of the Holy Church. I invite only those to whom this approach appeals. I welcome into our friendly group all who come in this spirit - the spirit of our group - all who want to open their souls to this deep experience of Catholic Culture." Let's face it, our kids are not going to be taught this in school. It is up to the parents at home to teach their kids Latin. When and if children are taught Latin in higher grades, it is sometimes too late. Latin studies need to begin at age 4. Teach the kids the Ordo Missae. We are putting together a fabulous group pilgrimage tour to the famous Walsingham, traditionally the second most visited pilgrimage site in England after Canterbury. We were just there and it was amazing! Stay tuned for details! 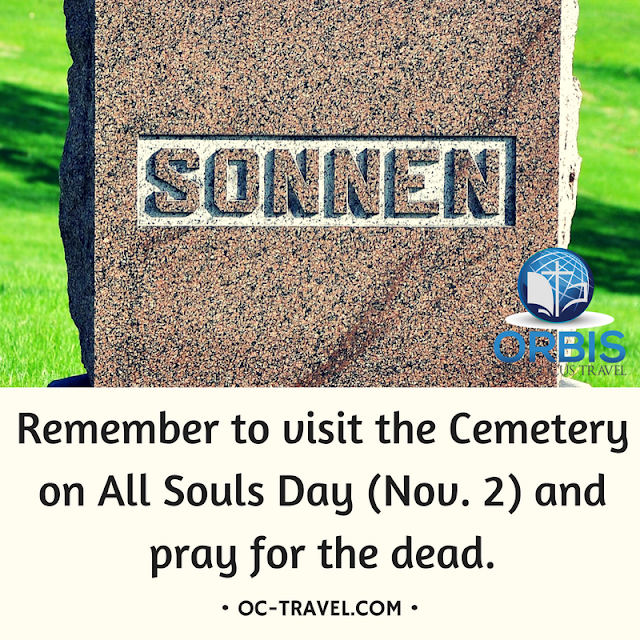 My father brought us every year to visit our dead at the family plot and to care for the grave site. Châteldon is a medieval village in France, located near Vichy. Châteldon is known for its naturally carbonated mineral water, the first mineral water in France transported by bottles to the Court of Louis XIV at Versailles, after the first doctor of the king praised the virtues of Châteldon water to King Louis XIV in 1650. The water worked, the Sun King ruled for 72 years, the longest ever in European history! The availability of the water on a menu is the true mark of distinction in France. It is known for its diuretic and digestive properties, rich in potassium, sodium and fluorine, available at the best hotels and restaurants, and in delicatessens. Thank you, Fr. Barker, for explaining to us this fine treasure! Just quote scripture to them. Memorize these very words of Jesus. 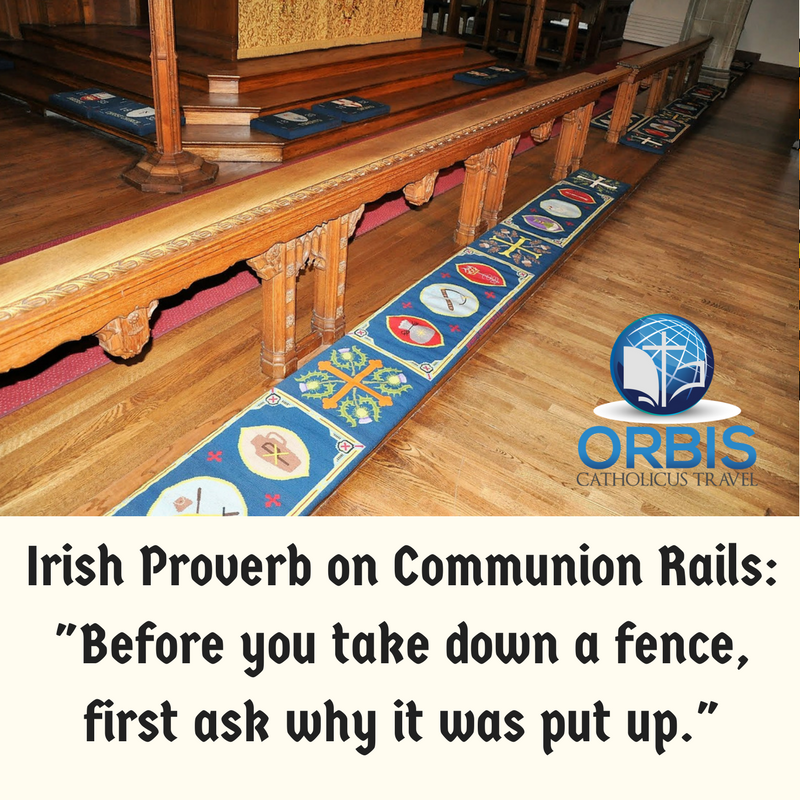 You will be confronted with this if you volunteer or work in a parish. Certain people will complain that money should not be spent on Jesus. That instead, it should be given to the poor. "Now when Jesus was in Bethany, in the house of Simon the leper, a woman came up to him with an alabaster jar of precious ointment, and she poured it on his head, as he reclined at table. But when the disciples saw this, they were indignant, and said, 'To what purpose is this waste? for this might have been sold for much and given to the poor.' But Jesus, perceiving it, said to them, 'Why do you trouble the woman? She has done me a good turn. For the poor you have always with you, but you do not always have me. For in pouring this ointment on my body, she has done it for my burial. Amen I say to you, wherever in the whole world this gospel is preached, this also that she has done shall be told in memory of her.'" A lovely Mass in a beautiful little crypt chapel, built in what is called in the Holy Land "crusader architecture." Many thanks to Fr. William Barker, FSSP of the Pontifical Commission Ecclesia Dei for celebrating Sunday Mass for us with such dignity and solemnity. This chapel has always been one of my favorite little places to pray in Lourdes. It has great potential. Today it is in need of restoration and conservation services - Conrad Schmitt Studios could do wonders here: http://www.conradschmitt.com/. Might I propose colorful 1890s neo-Gothic stencil work with blue-green ceiling covered with gold stars? New light fixtures and a matching altar would be nice, too. In the Hospitalet chapel of Lourdes, located on the hill behind the Accueil Notre-Dame. The original tomb, with body, is kept in the convent chapel of Nevers, where the saint died. I am privileged to have prayed before both. The Hospitalet Accueil is a great place to stay in Lourdes if you are on a budget. Great for families with small children. The chapel is lovely - simple and nice. The octagonal dome can be spotted from across the town. For information on staying here, see here: https://www.lourdes-france.org/en/accomodation-centres. These are nice. Portable. Seen in Lourdes. Read My Latest Article on Gregorian Chant! There has always been a strained relationship between the ideal and the reality when it comes to sacred music in the liturgy. Today a new generation of millennial Catholics is discovering a fascination with the art of Gregorian chant, seeing it in a fresh light, a mirror of the earthly liturgy as a foretaste of the heavenly liturgy. Accentuating the appeal of chant for this new clientele is the respect that it shows for the divine majesty as well as the pastoral intention of edifying the faithful during the liturgical services. Catholic liturgy seeks to elevate the faithful to prayer with every possible spiritual and artistic resource. The concept of art in the liturgy and the liturgy as art is not new, although it is taking a new turn in a variety of Catholic circles, as many young people - including converts and non-Catholics - are beginning a re-evaluation of the spiritual role of Gregorian chant as art. Vatican Council II, a worldwide gathering of bishops and other experts in the 1960s, declared that music is the highest form of art: “The musical tradition of the universal Church is a treasure of immeasurable value, greater even than that of any other art” (S.C., 112). Catholic liturgies are famous for being enshrined in beauty and a big part of this beauty is the musical patrimony. In fact, all great art has instinctively selected religious themes, and this has come to pass in the Church’s selection of liturgical music. One parish in the lower mainland that is particularly drawing faithful by its unique repertoire of liturgical music, with Gregorian chant holding pride of place, is Saints Joachim and Ann in Aldergrove. The Sunday Missa Cantata Mass, also known as the “Gregorian Mass,” draws a diverse array of faithful from across the Fraser Valley, including an occasional handful from the U.S.-Canada border crossing. For an older generation of Catholics, Gregorian chant may seem a mere ornament of the past. However, at Sts. Joachim and Ann it is seen as exactly what has been called for by Vatican Council II. The Council decreed in 1963: “The Church acknowledges Gregorian chant as proper to the Roman liturgy: therefore, other things being equal, it should be given pride of place in liturgical services” (S.C., 116). The pastor of Sts. Joachim and Ann, Fr. William Ashley, is a native of St. John’s, Newfoundland. He grew up in the shadow of the great Cathedral of St. John’s, having lived first-hand the deep liturgical life of a cathedral parish in the 1950s, during a golden age of sacred music that included Gregorian chant for Solemn Mass and Vespers. His father, Dr. John Ashley, was a classical languages scholar who made sure his son learned Latin and chant. While studying in Rome as a seminarian for an advanced graduate degree at the Angelicum, Fr. Ashley was accustomed to attending the great liturgies of the Vatican in St. Peter’s Basilica, where he was ordained priest in 1977. From his experience and knowledge of chant, Fr. Ashley knew that because of the nature of the technical requirements of chant, a chosen group of singers under the direction of a professional musician would be necessary in his parish. Mr. Alexander McCune stepped forward and was tapped to be the chant master at Fr. Ashley's parish. Alex, a gifted conductor, director, teacher, vocal coach and performer, also happens to be a convert from Protestantism. A native of Edmonton, Alex became involved as a child in song and piano. 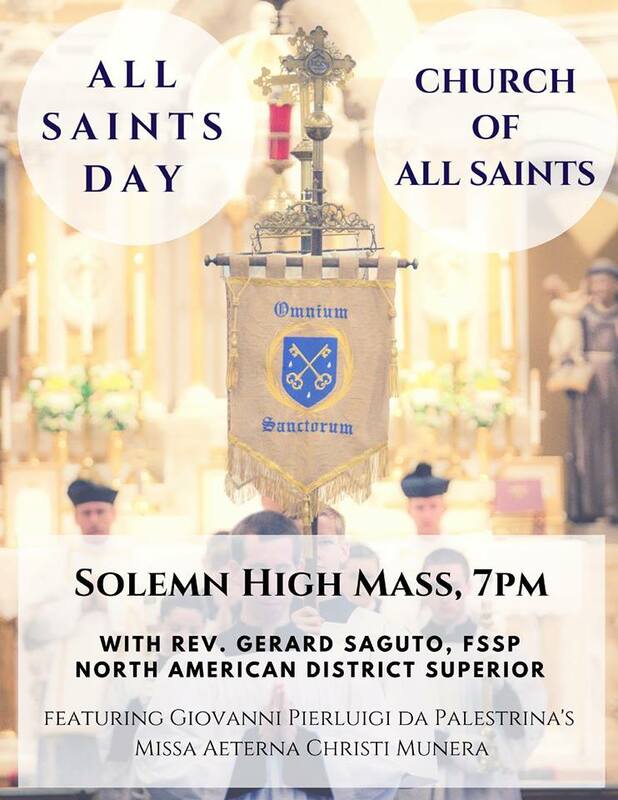 While studying at Our Lady Seat of Wisdom Academy in Ontario, he began conducting and accompanying in the sacred choral program, which led to his expertise in chant. For centuries the faithful have sung simple Gregorian chant melodies. This work has continued by the cultivation of chant in parish choirs, especially in small groups, as seen here. Religious art has always been subjected to the same exigencies as any other art, including that of the fluctuation of artistic taste. Fifty years ago the popularity of Gregorian chant was eclipsed by social changes that were provoked by the cultural revolution of the 1960s and thus it lost its central place in the Western Church. The 1960s trend toward general popular culture, founded on rationalist and political principles that raised emotion to the same level as reason, resulted in new norms for simpler music. Many unjust and sweeping generalizations and reproaches were used to disband choirs and do away with organ music, largely leaving choral music and chant by the wayside. Every period of history has set special tasks for music in relation to worship. 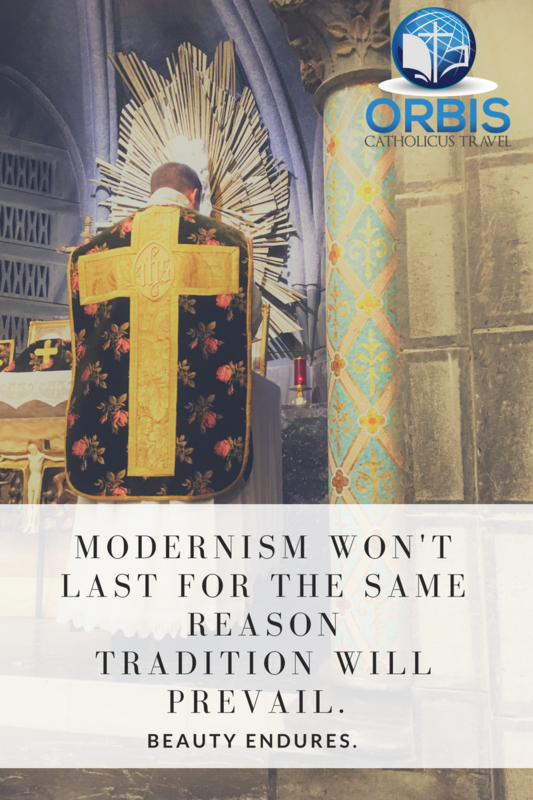 History proves that valid forms of liturgical music need a long maturation period and outlive passing trends and fads unduly influenced by popular culture. Enter Latin. The reason the Latin Church avails the forms of Latin declamation in sacred music – the distinct projection of Latin words set to music - is because the Church has not yet found a convincing melodic stylization for other languages, a stylization that would match the current repertoire of sacred music in Latin. Recent studies have shown that, concerning music, there is as much active participation in experiencing music as in singing oneself. This is because participation does not reside solely in outer activity, but also in the inner receptivity which is promoted by the power of sung music. While listening and experiencing are also forms of active participation, they are all the more penetrating when liturgical expression is authentically artistic. A one-sided interpretation of active participation of the people gradually developed in the twentieth century, viewing music in the liturgy as something solely exterior (for example, the entire congregation singing every hymn together), which has historically never existed. The laity contribute, by virtue of their baptismal character, both through internal and external participation a full and active participation. All the baptized, in all their Christian actions, participate in the worship offered by Christ. The authenticity and appeal of chant as the norm for Solemn Mass in the Roman rite is most certainly a form of participation on multiple levels. 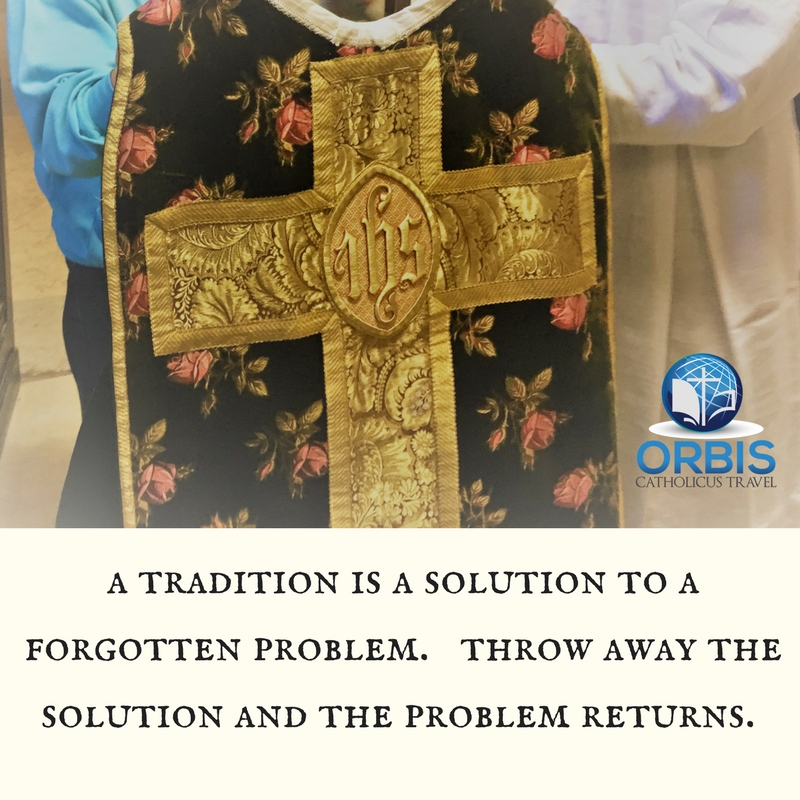 The integral unity between liturgy and the liturgical chants which had been developed in primitive Christianity and become evident in the Gregorian melodies is closely connected with their liturgical functions. The organic unity of chant did not result from a flash of genius, but from slow growth and steady evolution, from centuries of grappling with the problem of the spirit and form of liturgical singing. Even in early Church and synagogue worship, the offices of cantor, soloist, schola and choir had been established, because it was believed that the community as a whole had a duty to create and bring into being liturgical music worthy of God and of the highest artistic merit, while at the same time proper to the edification of the faithful. Although chants executed by the congregation have historically been limited by the very nature of the technical requirements of the music, the acclamations and the simple chants have always remained the charge of the congregation. The Catholic Church teaches that sacred music should reflect the artistic expression of the period while at the same time remaining the expression of the religious soul of man, distinct from secular forms. Gregorian chant is not secular; it evolved from different roots, above all from Jewish worship – a prime example is Psalmody, the chanting of the Psalms of David. The better the quality of the sacred music, the closer the choir becomes the sublime interpreter of the congregation, bringing to the congregational singing a quality of expression that by itself it could never achieve. The best musical pageantry in the liturgy of the East and West is justified by the idea that divine worship must be a majestic solemnity which tries to imitate by the joy and quality of the music the adoration of the heavenly hosts. 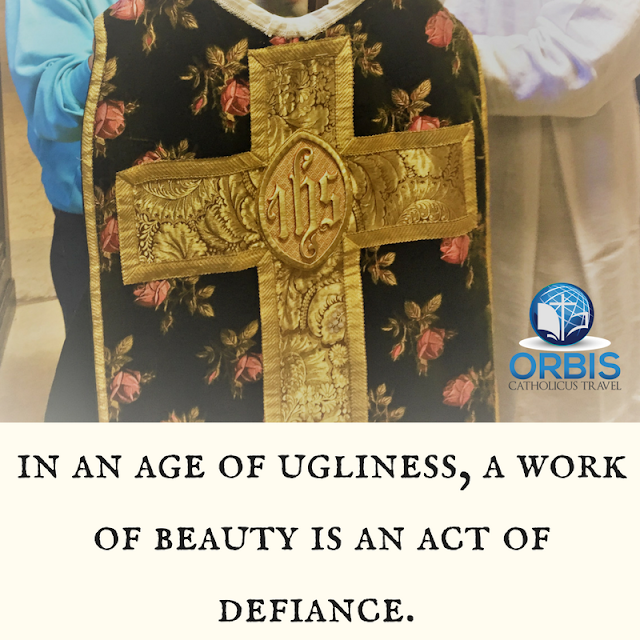 This is what draws and inspires young Catholics to attend the Gregorian Mass in Aldergrove, where the fullness of chant is being fostered, emitting eternal impulses for inspiration and stimulation. 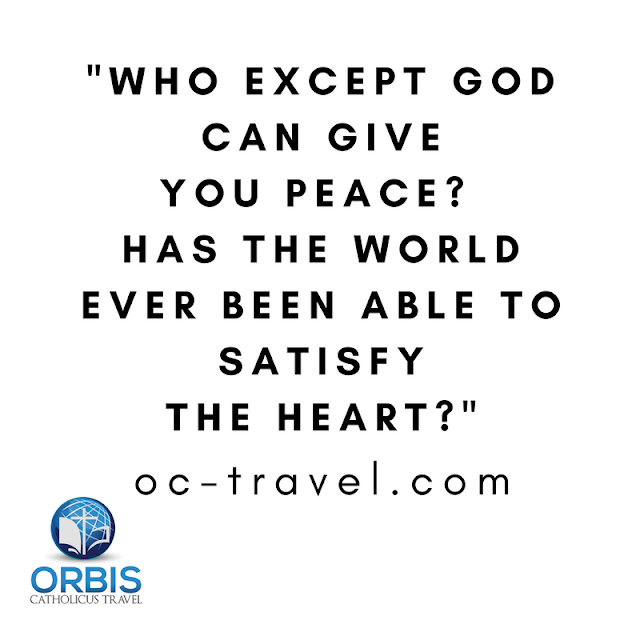 J.P. Sonnen is a tour operator and history docent for Vancouver-based Orbis Catholicus Travel. Some of these are for lay pilgrims or members of religious orders. I have always said it would be perfect to retire in Lourdes and buy one of these. Lourdes is a Catholic wonderland. A terrific place to live and volunteer. Crisp autumn air in Lourdes! Exiting the chapel after morning Mass, this was the view. It was a great honor to be in Lourdes for the feast of Our Lady of the Rosary, the patronal feast of the old Basilica (named Notre Dame du Rosaire de Lourdes). I usually find myself in Lourdes during the month of May, which can sometimes by a bit rainy. Autumn is a lovely time to visit. Every Catholic ought to visit Lourdes. Bishop Sheen never made a visit to Europe without making a stop in Lourdes. That was well over 30 visits! If you are looking for antique statues, processional banners, chalices, vestments or even relics, this is the place while in Lourdes. 58 Rue de la Grotte. Many works of art and religious treasures have been saved from here. From my native Twin Cities on the upper banks of the mighty Mississippi River. Minneapolis was founded by a priest who was an author, explorer, avid traveler and missioner (born in modern day Belgium), Fr. Louis Hennepin, OFM. Once captured by a Sioux war party, he led an extraordinary life that led him to Minneapolis in New France. This caught me eye, seen in Lourdes, available from a street vendor at the bridge, Pont Vieux (the outdoor stall is called Dentelle du Pont Vieux). Remember altar cloths should always be hand-washed. That way the delicate lace can last for many years. After you dip them in starch, lay them to dry on a large table. Perhaps online searches will bring people to this post. If you are searching for Holy Mass in the Extraordinary Form while in Lourdes (during the pilgrimage season, roughly from April to October), it is offered in the upper Basilica every Sunday at 9:00 a.m. The FSSP have a nice maison in Lourdes, named Our Lady of Victories (a great church to visit in Paris, by the way). They staff a parish community in nearby Tarbes (the seat of the diocese that Lourdes is located in) and during the pilgrimage season their wonderful priests help each evening with the outdoor procession at the grotto. Watch for them and say hello. Their work here is crucial. Lourdes is the de facto center of Catholic life in France where the bishops meet and many events are held.